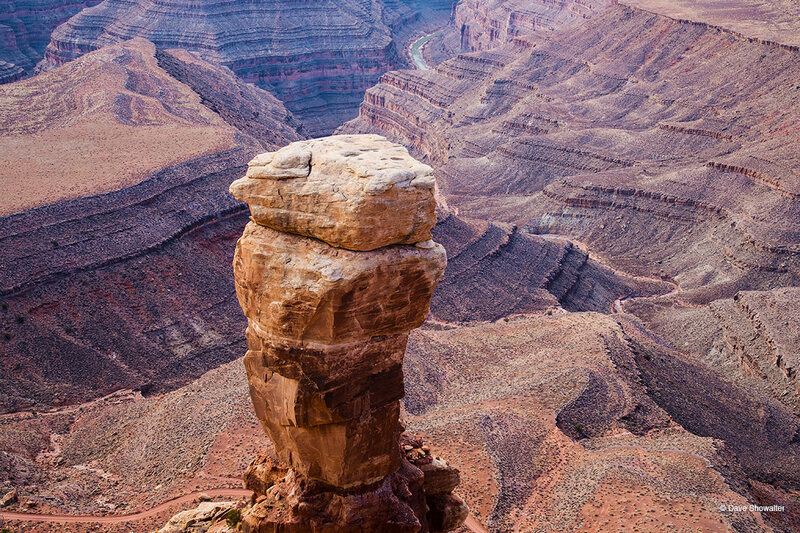 A towering sandstone column, separated from Cedar Mesa watches over the Goosenecks of the San Juan River from Muley Point. From this stunning viewpoint, you can view sacred Navajo Mountain and the towers of Monument Valley, while studying the deep meanders carved by the San Juan over geologic time. . Photo © copyright by Dave Showalter.